^ （英文） Kennedy, Randy. David Whitney, 66, Renowned Art Collector, Dies. 纽约时报. 2005-06-14 [2009-05-11]. ^ （英文） Bourdon, David (May 1970). "What's Up in Art, The Castelli Clan". 生活. Accessed June 9, 2010. ^ （英文） Saint, Andrew. 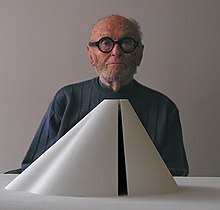 Philip Johnson — Flamboyant Postmodern Architect Whose Career Was Marred by a Flirtation with Nazism. 衛報. 2005-01-29 [2010-08-12]. （英文） Pogrebin, Robin (August 8, 2010). "The Hand of a Master Architect". The New York Times. （英文）Phillip Johnson architectural projects, 1984-1995[永久失效連結] The Getty Research Institute, Los Angeles, California. Architectural drawings, study models, photographs, brochures, and miscellaneous papers, the bulk of which relate to the Franklin Square building, Washington, D.C., a project by John Burgee Associates with Philip Johnson. （英文）Phillip Johnson papers, 1908-2002[永久失效連結] The Getty Research Institute, Los Angeles, California. Documentation of the early and later career of architect Philip Johnson, especially representative of his early work, particularly his Glass House in New Canaan, Connecticut, and a number of little known, never constructed projects.